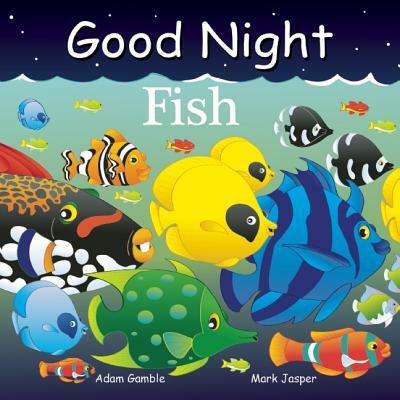 Good Night Fish highlights swordfish, salmon, angel fish, butterfly fish, parrotfish, clownfish, groupers, tuna, puffer fish, sawfish, sharks, flying fish, flashlight fish, seahorses, largemouth bass, catfish, and even toothy Amazon piranhas. Put on your snorkel and fins, it's time to dive into cool freshwater lakes, gentle rivers, and the salty depths of oceans. Exploring the fascinating world of fish has never been more fun or educational.